How did a woman holding a pistol in her right hand manage to shoot herself in the left temple? What was the link between a ghost sighting and the disappearance of top secert military plans? How did the bullet that killed Sir Gervase shatter a mirror in another part of the room? And who destroyed the 'eternal triangle' of love involving renowned beauty, Valentine Chantry? 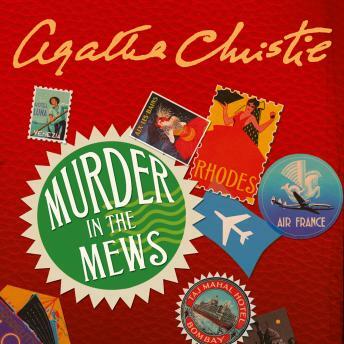 Hercule Poirot is faced with four mystifying cases - Murder in the Mews, The Incredible Theft, Dead Man's Mirror and Triangle at Rhodes - each a miniature classic of characterisation, incident and suspense.